Mortgage Penalties exposed… an in-depth study, part 2…the update. Two years ago I published, what would become, my most widely read article. Mortgage Penalties exposed…. an in-depth study reveals unjust penalties was written to show just how unfair penalties had become. The surprising results showed that the BIG SIX BANKS were the leaders when it came to charging the highest penalties in Canada. If you had a Fixed rate mortgage and thought your mortgage penalty could only be a 3 month interest charge, you were in for a huge shock. In the late ’90s, CMHC insured mortgages had a 3 month interest penalty attached to them… but then CMHC removed this cap… And Banks decided to make some further changes to how your penalties were calculated. They decided you needed to pay for the original discount your received at the time of your mortgage…. It’s like buying a gym membership on sale… you got it for 30% off regular price… and you agreed to a 5 year term.. but after 1 year, you decided to cancel… but the gym wants you to pay for that 30% discount for the remaining 4 years … Does that make sense? Of course not… You would probably be happy to pay a reasonable penalty but that’s no longer your choice… And yet, the BIG SIX BANK penalty calculation works the same way…. They are charging you for the benefit of the discount… Where’s the logic in that? WHY SHOULD YOU CARE ABOUT PENALTIES IF YOU DON’T PLAN ON PAYING YOUR MORTGAGE EARLY? This is, perhaps, the most common question I get asked.. the answer is simple… We don’t plan on a lot of things happening in our lives… so what if there is a job transfer, a death in the family, a personal matter, a loss of job, a better opportunity to move, or a better mortgage rate or mortgage special is offered elsewhere… or some other reason that you need to open your mortgage up for negotiation or prepayment? Now you must deal with that penalty calculation… If the penalty is too high, your options are limited.. you might just have to stick with that Bank.. or not move or not change….These limitations have real consequences. In other words, YOU LOSE YOUR LEVERAGE WHEN YOU HAVE TO DEAL WITH AN INFLATED PENALTY. As I was writing this update, our Federal govt was at it again…(you just can’t make this stuff up)…. This past week, we saw some unprecedented steps taken by our Federal Minister of Finance… In short, the govt doesn’t want you to pay the lowest interest rate as we’ve recently seen them ask Manulife Bank and BMO to stop advertising low rates… It’s true!! MAKING IT HARDER TO QUALIFY FOR A MORTGAGE SEEMED MORE IMPORTANT TO OUR GOVT. After the U.S. sub-prime mortgage crisis in October 2008, our Federal govt jumped in and decided to they had to make it harder to qualify for a mortgage….they had to make it MUCH more difficult… The govt introduced several new mortgage rule changes to make sure that happened.. 4 major changes in each of the last 4 years. But still no changes to these unfair penalty calculations. 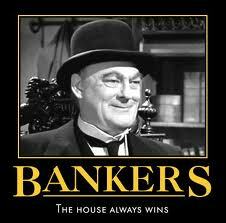 Still no changes to how our BIG SIX BANKS calculate their mortgage penalties. Most of us have forgotten the Federal Govt’s broken promise to standardize mortgage penalties. This is a topic that doesn’t seem to be covered very well by the major media outlets… and yet I get calls and emails almost daily from Canadian borrowers that have been hit with these enormous penalties… This is a real problem that I refuse to ignore. FINALLY, MORTGAGE PENALTY CALCULATORS ARE ONLINE. Perhaps the only good piece of govt legislation came in 2012. The govt announced that all Federally regulated Financial institutions must post an online mortgage penalty calculator. The calculator will allow you and I to calculate what your penalty could be….I’m sure the Bankers aren’t loving this. They must also post a toll-free # where a borrower can call to get their penalty quoted… Hey, it doesn’t change the unfair formula but at least we can get a straight answer.. and that’s a welcome surprise! Before choosing your next mortgage, you should visit these sites and compare the penalties with the smaller, lesser known Lenders… At the risk of repeating myself, there are several other Lenders that use a much fairer penalty formula that results in a much lower penalty than our BIG SIX BANKS… This helps the consumer make a more informed choice…. Here’s a small list of Banks and their prepayment penalty calculators… (I’ve left out the preferred Lenders.. those Lenders with the ‘FAIR’ penalty formulas and competitive rates… after all, I am a mortgage broker and I want you to call me… not afraid to admit that… If you want to know which Lenders are on my preferred list, just give me a call or drop me a line…I’d be happy to share that info with you..). If I told you there were two mortgages available… mortgage A and mortgage B… you could get the same rate, same prepayment privileges, same payment frequency options, etc… everything was identical… BUT the penalty calculation would cost you $12,000 for mortgage A and $4,000 mortgage B, which mortgage would you choose? Sure most of us probably said B…. But guess what? Most of aren’t choosing B… we’re still choosing A… That’s right… the majority of borrowers are still choosing their local Bank branch… that familiar branch on the corner.. or where your mom and dad banked all their lives… Hard to believe but it’s true… We are slow to change… But it’s also more than that… the BIG SIX have deep pockets when it comes to advertising… you can’t turn a corner without hearing or seeing a BIG SIX BANK ad. The smaller Lenders may have better products but they can’t afford to spend the same $$s in advertising… But hey, the past doesn’t have to equal the future… next time, think about your options… speak with a Mortgage Broker and get access to 50 Lenders… get professional unbiased advice.. It could save you $thousands. As always, feel free to contact me with your comments or questions. Previous Previous post: BMO caves in to Federal govt pressure and raises mortgage rate. Next Next post: RBC accused of terminating Canadian workers in place of cheaper, foreign labor. I too got caught with the ridiculous calculation of a penalty by the Bank of Montreal. I had one of those low rate 5 year mortgages, and I was aware that the bank could calculate the penalty based on the higher of 3 months interest or the “lost business” scenario, to the end of the term. What I didn’t know was that the bank artificially measures their loss by pretending that my mortgage rate was approximately 3 points higher, and then pretended that they gave me a discount on the five year rate. Of course, for the purpose of the penalty calculation, they pretended that they lost the benefit of the ficticious high rate for the balance of the term. That way they could wind up with a penalty in the thousands of dollars! Needless to say I was shocked. I kicked up some steam at the branch level, but was told that the Bank had reviewed the calculation and that “all was correct”. I then decided to take it to the top level, the President of the Bank in Toronto, Mr. William Downe, and wrote a stinging 3 page letter. Within days, the branch manager was calling me, the regional manager was calling me and the secretary of the President was calling me all to say the calculation was being re-assessed and that I would be receiving news shortly. In fact, the next day the branch manager called me back and confirmed that $3,700 of the penalty would be refunded to me. In fact it was, but it took quite a bit of effort (out-right fighting) at all levels to get it back. Hey Steve, great read and great job exposing the banks insatiable greed for what it is. Late to the thread, here. It would be great if some one or some org made a table of the Big5 banks’ IRD penalties. This is highway robbery. CanadaMortgageNews.ca Mortgage Penalties exposed… an in-depth study, part 2…the update.